I finally have chest hair. Well, a chest hair. As in one single solitary chest hair. It only took me 28 years and five months to grow it, but I grew it, and it’s all mine. It’s attached by a root and everything. It even rustles gently in the breeze. I think that I got it from when I went to Vegas last week. I’m a man now, up there with Tom Selleck and Pierce Brosnan, and it’s all thanks to my hairy chest. The ladies are lining up now. I never thought that I would ever have a chest hair. I really didn’t think I was genetically capable of it. My dad has no chest hair, so I’ve always assumed that I would continue the trend of being chest bald. 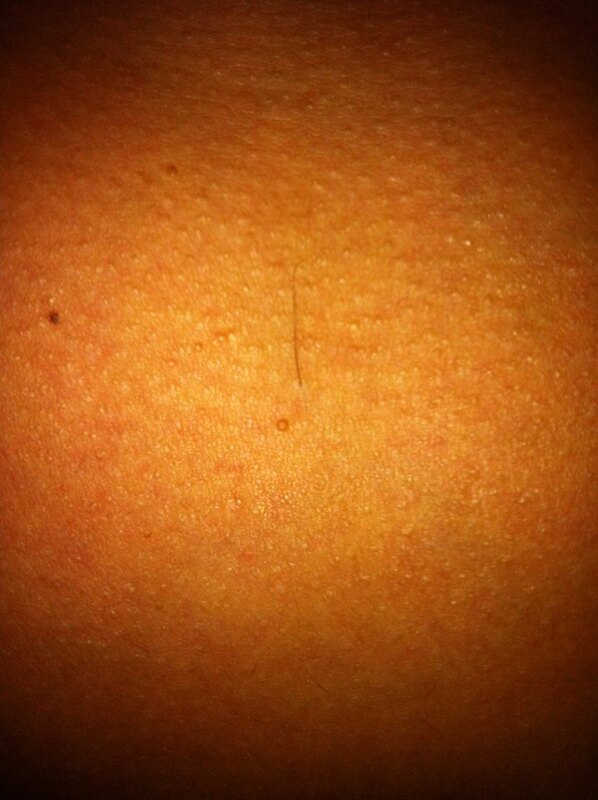 I actually found gray hairs on my head before I grew a chest hair. Think about how amazingly pathetic that is. I don’t use the word pity very often, but my chest hair situation was pretty pitiful. I guess pitiful is better than non-existent, so I shouldn’t be complaining. I’m sure there are a lot of other guys who wish that they had a chest hair too. Just hope and believe, and maybe someday you will join the big boy club like me. I like beer and I like strong beer. I want to be able to taste it. I like IPAs because it’s a strong beer. I like double IPAs because they are even stronger than regular IPAs. 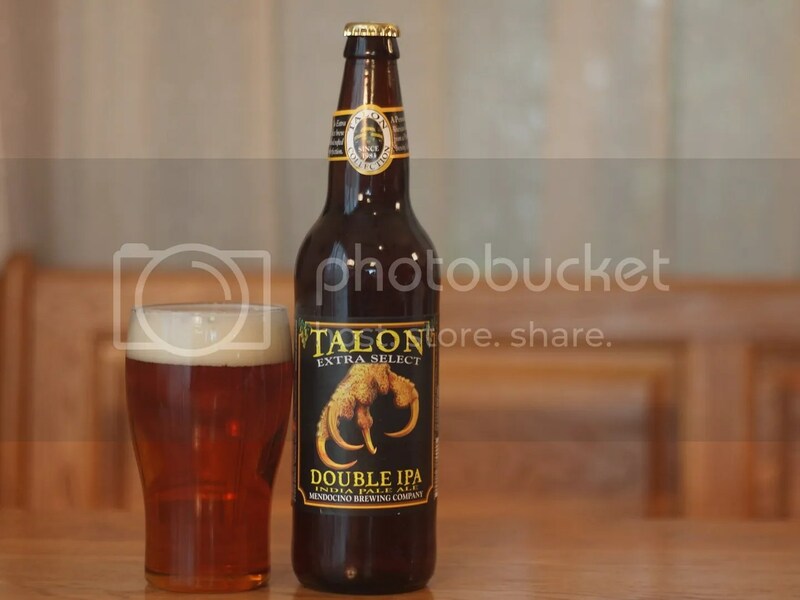 And so I had to try Talon Extra Select Double IPA from Mendocino Brewing Company. It is really hoppy and has a 10% alcohol content. That’s enough to make you grow some chest hair. One bottle is like three new chest hairs. Drink a case of this and you’ll be looking like Robin Williams in no time. Proceed with caution, ladies. I’ve had better craft beers, but I would still get this one again.